Are you a down home couple planning for a country wedding? 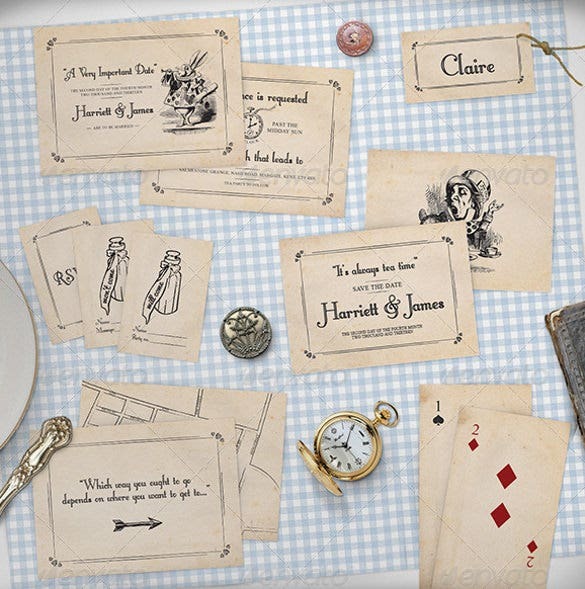 Do let your guests know about your theme wedding and what to expect from the wedding that you are planning. Give a glimpse of their exotic experience that they will have through the fall wedding invitations. 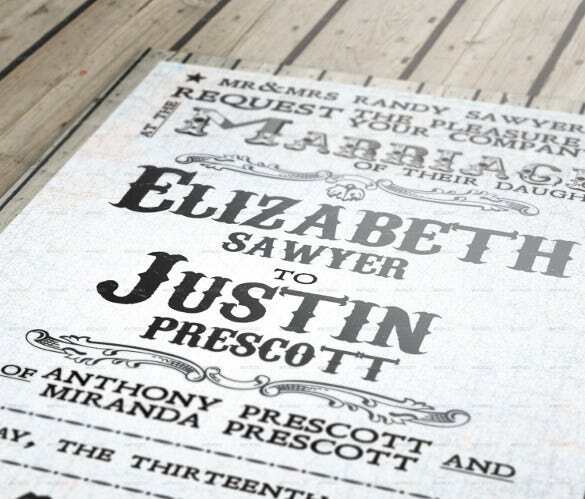 Burnlap and lace, Mason jars, barn wood are few suggestions for your country themed wedding invites. Add pictures of horse shoes, pine trees to wood grains to give it a rustic and exciting look. Let your invitation dazzle with the wedding invitation templates available in numerous format options like PSD, PDF, MS Word and many more. 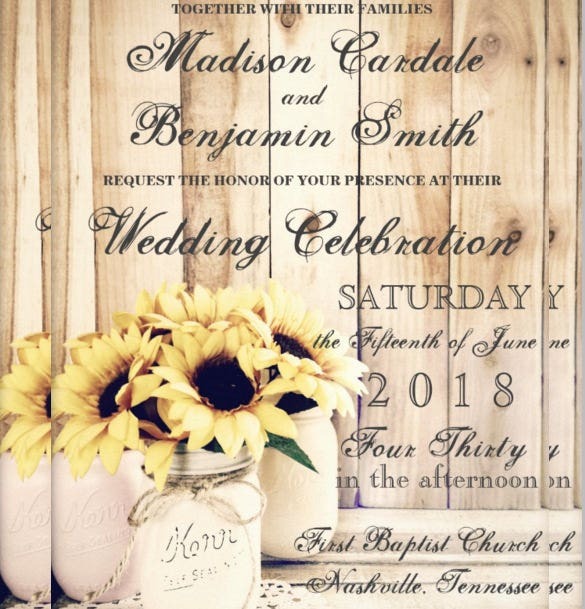 If you like the western styles and the fonts inspire you, use them in your wedding card and make a statement with this western style wedding invitation card template. 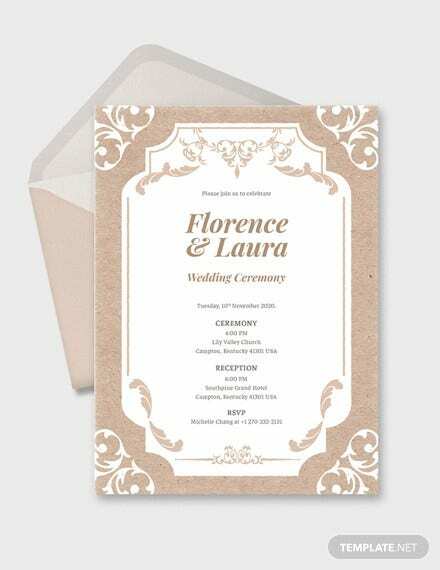 If your wedding is going to be an exotic affair, it sure would look beautiful if you design your wedding card in a similar manner using a different country style. 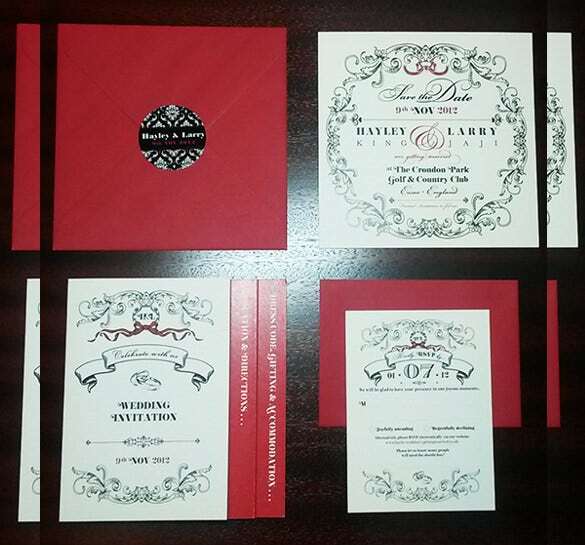 Here is your chance to do so with this wedding invitation in different country style theme. 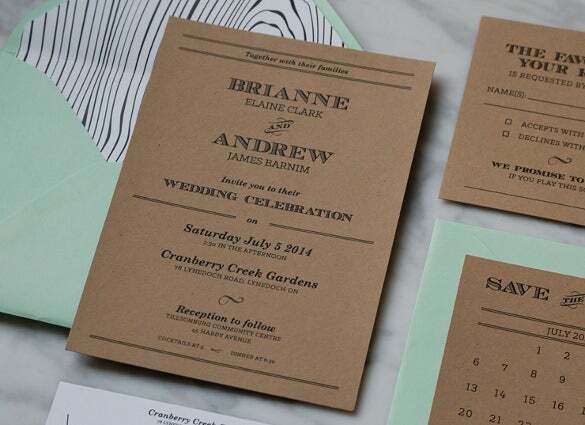 Make your wedding invitation look beautiful and raw just like the countryside with simple decorations and simple themes that go well with light colours. 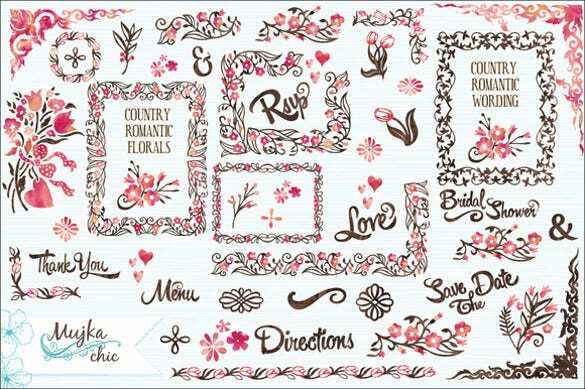 Use the country wedding invitation $1 template for the same. 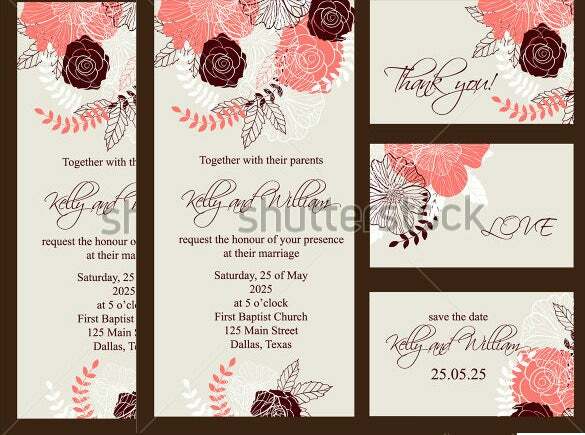 Find innumerable floral decoration ideas in print for your wedding invitation card using this country wedding invitation florals template that has hues of pink all over it. 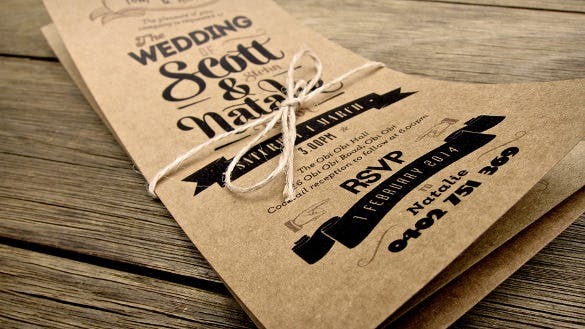 Use the simple idea of brown paper and simple strings to make your wedding invitation look outstandingly awesome in the razzmatazz of all the modern themes and fonts. 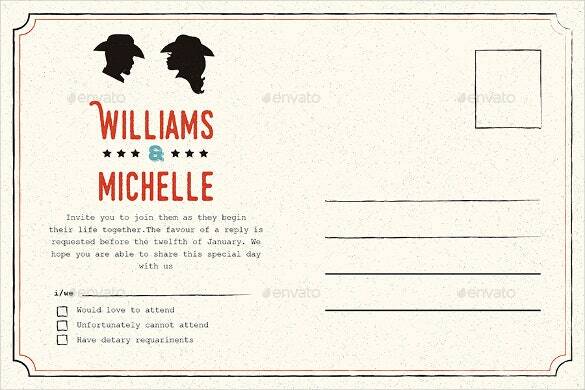 Use this country wedding RSVP template for the purpose. 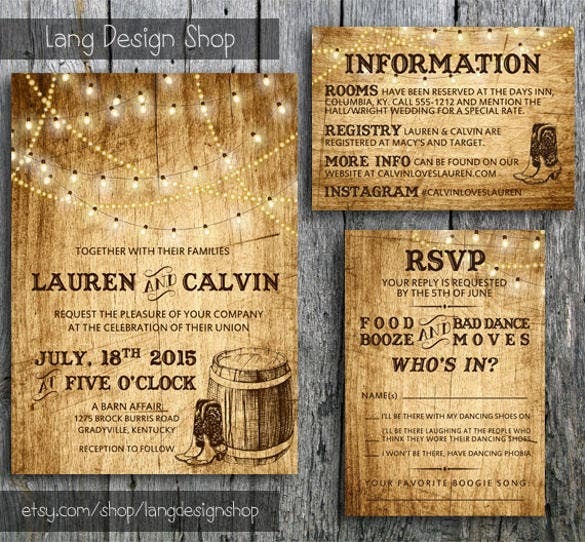 If you want to make your wedding invitation card look a little quirky and funny, induce a little cowboy style in it using this country wedding invitation theme. 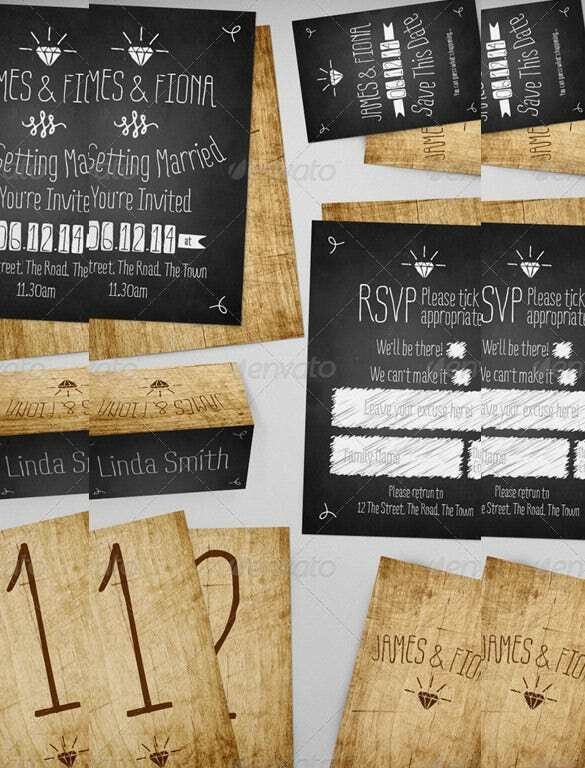 Send out your wedding invitations in a little ethnic manner with the help of this wooden-looking country wedding invitation that has a rusty and charming look. 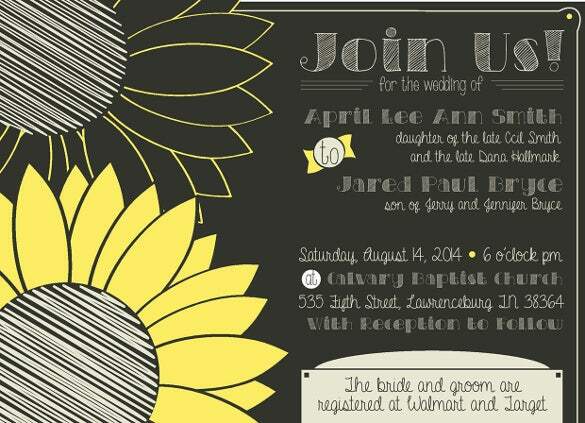 A nicely blended combination of the chalkboard and sunflowers theme, this country wedding invitation on chalkboard and sunflowers template is undoubtedly the best. Use it to beuatify your wedding invitation cards in sense and style. Invite your family and friends to join in you as you begin the most beautiful phase of your life with your wedding. 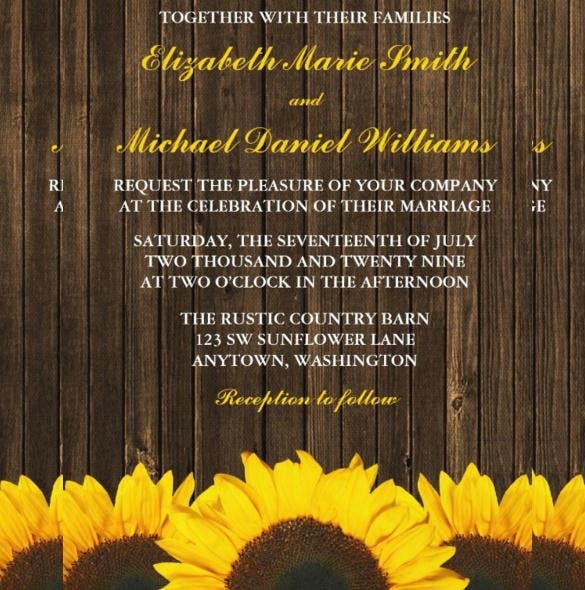 To make a lasting impression on all your invitees use this sunflowers barn wood country wedding invitation template. 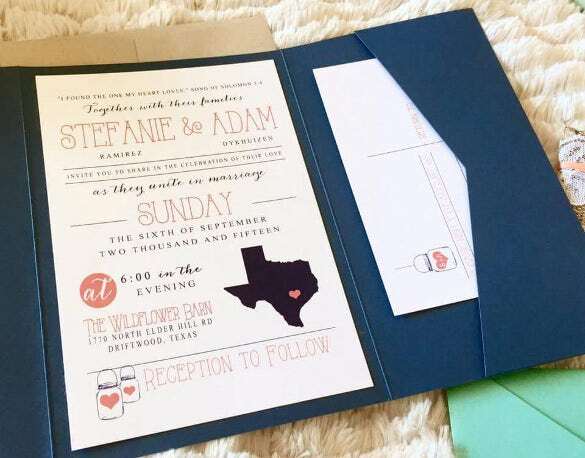 If you are getting married at the God-made countryside, make sure that your wedding invitation looks just like it with the help of this different types of country wedding invitation templates.